Vancouver Vogue: Pink Shirt Day: Stand up to Bullying in Style! Once a year, kids and adults alike wear pink to say NO to bullying! Pink Shirt Day is February 22nd this year, and is a powerful campaign meant to show support for anti-bullying. 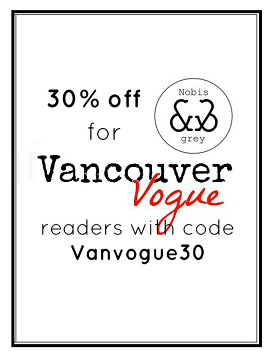 I've participated in the campaign here on Vancouver Vogue for a few years now, and I think it's a very important cause to support, especially in this day and age with social media making bullying far too easy to perpetuate. London Drugs, who has been a longtime supporter of Pink Shirt Day, is once again the exclusive retailer for the official Pink Shirt Day t-shirt, which I'm wearing in the photos below. This year's design features 'Make Nice': a message that's true and simple. The net proceeds of the shirts will support local Boys and Girls Clubs across British Columbia, Alberta and Saskatchewan through the CKNW Orphans' Fund. The programs supported help kids build self-esteem and teach them empathy, compassion and kindness. I hope you all join me in wearing pink on February 22nd to show you stand up to bullying! Pick up your official Pink Shirt Day t-shirt at London Drugs, and if you need some inspiration on how to style your official Pink Shirt Day shirt, take a peek through the photos below, or see my Pink Shirt Day outfits from 2016 and 2015. Don't forget to use the hashtags #pinkshirtday and #PSD2017 when sharing your outfit photos on Twitter and Instagram, and tag @LondonDrugs!